Hosted by The Energy Harvesting Society and Penn State at the Navy Yard, the 2nd annual conference will take place on Sept. 5-7, 2018. Deadline to submit abstracts: July 15, 2018. For the initial "Quick Decision" deadline, the program committee will evaluate the first wave of abstracts and decisions have been provided. Those submitting under the July 15 deadline will have decisions by July 30. Accepted abstracts will be selected for either oral or poster presentations. Prior to registering online (credit card only), please refer to the “helpful hints when registering online” document. 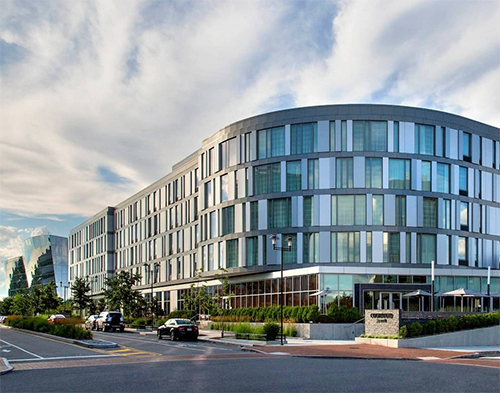 To reserve a room at the conference rate, please call Marriott Reservations 1-800-321-2211 and mention the “Energy Harvesting Society Meeting.” Click here for more information on the Courtyard Philadelphia South.